Comfort and ease are paramount in this pant featuring extra large, low saddle bag type pockets. 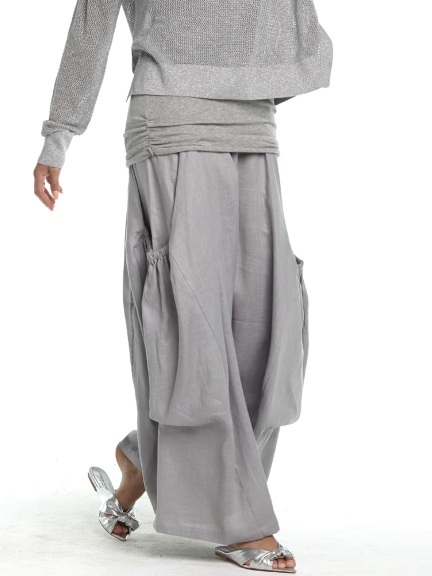 An elastic waist adds, not only comfort, but a wonderful draped quality. 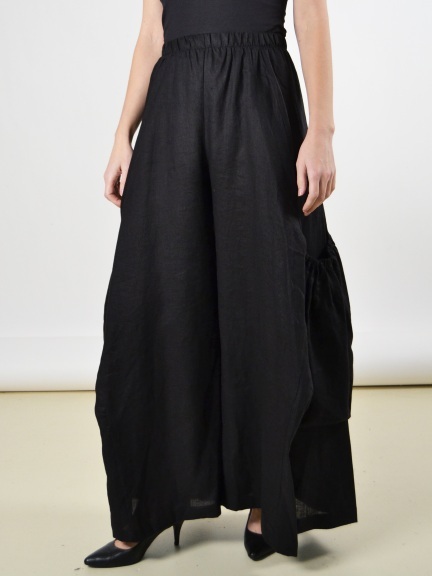 A perfect pant for long strides, informal activities, and lounging.